Calling all Hot Air Balloon enthusiasts! Save the Date! If you haven't already marked your calendar for February 15, 16, & 17, 2019 do so now! This year we are expecting 50+ Hot Air Balloon Pilots and 12 Bands over another beautiful Presidents Day Weekend. We are hoping for perfect weather so our pilots can launch all three mornings! Hot Air Balloon Launches will take place at the former Coral Cliffs Golf Course in Kanab each morning at 7:30am (weather permitting). Starting Friday afternoon join us on Main Street for a one-of-a-kind vendor fair and listen to our first few bands battle it out for the winning title of this years' Battle of the Bands! Saturday morning will start us off with another Balloon Launch (weather permitting), a vendor fair throughout the day and into the evening, and to end the day join us on Center Street for a Balloon Glow at 7pm followed by a Lantern Festival as the top 3 winning bands play into the night! Don't forget, there will be one last Balloon Launch on Sunday morning (weather permitting), so be sure to stay all weekend! For more information, a full list of events and things to do over the long weekend once this amazing event is over, scroll to the bottom of the page. Worried about the possiblity of "Bad Weather"? No need to worry, we're expecting great ballooning weather as the week goes on! In the case of "Bad Weather" the event will still go on without a hitch! Each morning balloon launch at the former Coral Cliffs Golf Course will start with a Pilot Weather Report from our Balloonmeister Bryan Hill, as he delivers the news if it is safe to fly. Balloons flying are never guaranteed at an event like this. But there is so much more to do if there is "Bad Weather". Stay for the Battle of the Bands, vendors and more! If it is too windy or raining/snowing there will be no lantern launch on Saturday night, but there will be a candle stick show from our balloon pilots on Center Street the same night (pictured below). Stay the whole weekend for tons of Balloons and Tunes fun! You won't be disappointed. We can't wait to see you all in beautiful Southern Utah! Will you Dare to Soar with us?!? A Big Shout out to our Event Crew! If you see this amazing crew throughout Balloons and Tunes Roundup Weekend shake their hand and say Thank You for putting on such a great event!! Don't forget to Stay A Little Longer and play throughout the long Presidents Day Weekend. Scroll down for more information and inspiration while you stay and play! New to Balloons and Tunes Roundup 2019! Kanab's Balloons & Tunes event is coming to Kanab February 15-17. We are testing a new feature on our Everbridge Mass Notification system. If you would like to be on a list to receive information about Balloons & Tunes, text the word HOTAIR to 888777. You should get an immediate response back verifying you signed up correctly. With this feature, we can send notifications about daily activities, schedule changes, weather, and venue locations. You can always stop the notifications by sending STOP to 888777. Try it right now while you are reading this. Text the word HOTAIR to 888777. Welcome to Balloons and Tunes first Balloons and Tunes scavenger hunt played by using your smart phone! This exciting new part of our event is hosted by Kane County Events and Volunteer Center. You have a chance to win $1,000 and lots of other prizes! SO sign up now to be a participant. The hunt will begin at 5am on February 15 th and cannot be accessed until then, it will run until February 17th at 12pm. The person with the highest score is the winner. There will be several different point levels and prizes given away during the hunt as well, which will be listed on our Facebook page, Balloons and Tunes Roundup. This scavenger hunt will consist of taking video and pictures, answering some trivia questions about the Balloonists and scanning QR codes. There will be biographies about each Balloonist and each band posted to the Facebook page for you to read and be able to answer the questions. There are items to be found during every activity so plan on checking everything out and spending some time enjoying this fun filled event. - Don’t cheat!! It’s a game, so play fair and have fun. - If you find the QR codes, do not remove them. Scan it and move on. - Don’t disrupt any activities while playing this game. Be respectful to Balloonists, crews, bands, crowds, vendors, all equipment, everyone and everything else. - If you cannot follow the rules, you will be disqualified. Kane County's local quilting guild, the Canyon Country Quilt Guild has created 2 beautiful quilts that will be raffeled off at this years' Balloons and Tunes Roundup! See these beautiful quilts at the Kane County Visitor Center until February 15 and purchase raffel tickets for each one. During Balloons and Tunes Roundup you can view and purchase tickets at the information booth during the street fair on Main Street February 15-16. Mention seeing this information on our website when you purchase your raffel tickets at the information booth on Main Street to receive 1 free raffel ticket per person. The winner(s) of the quilt(s) will be announced during the Battle of the Bands on Saturday, February 16. Don't live in the area? No worries! The Canyon Country Quilting Guild will send your quilt(s) to you, free of charge. Don't miss out on winning one of these beautiful quilts! Get your tickets at the Kane County Visitor Center or the Street Fair February 15-16. Check out this years' Balloons and Tunes Roundup Swag! Click each photo for a quick link to purchase. It's Presidents Day Weekend, Stay A Little Longer! Whenever you travel to Southern Utah you not only learn more about the scenery and the people, but you learn more about yourself. 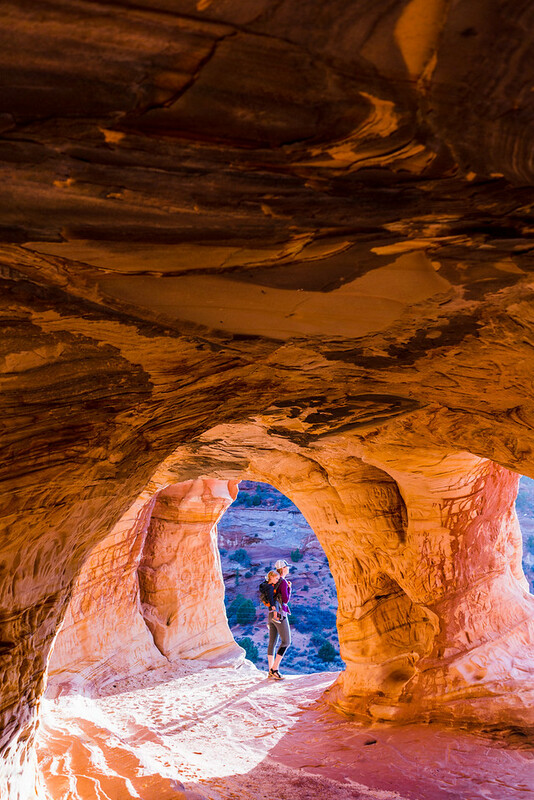 You learn about how much you can fall in love with a place like Kanab. Our unspoiled beauty is easy to explore, finding yourself lost in the beauty of it all. The people in the region will welcome you as if you were an old friend, one we wish to keep around for a while. Discover Kanab and find out how easily it will become a part of you. Scroll down for even more ideas of fantastic sites for the whole family to explore! Click on the photos for more information about each place to explore. Thank you for visiting https://www.visitsouthernutah.com:443/Kanab-Balloons-Tunes-Roundup-site! Be sure and revisit visitsouthernutah.com frequently for content updates and more.